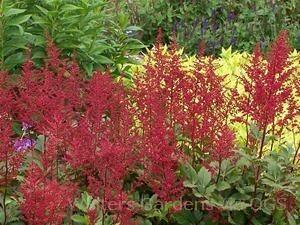 Product Information : Vibrant scarlet-red flowers are held in open, lacy panicles. Forest green foliage and mahogany-red stems. One of the best reds.